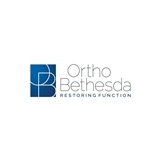 OrthoBethesda (Bethesda) - Book Appointment Online! The staff, doctors, and therapists of OrthoBethesda are dedicated to providing you superior patient care. Our Board Certified Orthopaedic Surgeons, all fellowship-trained in their specialties, are respected for their expertise in treating problems relating to bones, joints, extremities, hands, feet, and the spine. This includes such disease processes as arthritis as well as fractures, tendon and ligament injuries, and sports-related concerns. Our doctors have been recognized by local physicians as outstanding providers of specialty care. Our Physical, Occupational, and Hand Therapists are equally focused on spending the necessary time to bring restorative results to each patient. OrthoBethesda provides a personal setting for rehabilitation where your orthopaedist can monitor your progress as needed. Stellar, comprehensive service by all staff and Dr. Fisch.